Mother Nature thinks she's FUNNY!! 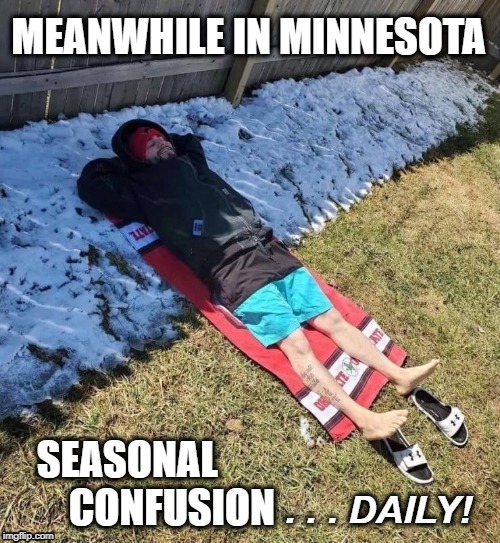 MEANWHILE IN MINNESOTA; SEASONAL CONFUSION; . . . DAILY!